Over the course of one week, I was able to lighten these areas considerably by simply applying some gel into the silicone mouth tray and popping a blue LED light in for 10 quick minutes. The Hi Smile was different to other treatments I’ve tried in the past thanks to the usage of the LED Light, which HiSmile states works to breaks down the gel formula at a fast rate to deliver optimal results in a short time – other treatments can take up to 1 hr per session. Surprisingly I felt zero sensitivity at all times, even when I applied extra gel around the darker bits of teeth, i.e gum area which is prone to a lot of sensitivity for me, but still nada. I did find my jaw got a little sore of holding the same position for 60 minutes over the course of the week, but that’s a small side effect for a brighter smile in my book. Sometimes while I had the mouth piece in, I felt a little saliva building up my mouth, but by tipping my head a bit further back I was able to alleviate this. I also found doing this treatment of an evening worked best for me, as I was able to lay down and keep my head flat. I do wish there had been more treatments in the box, but overall I am still very happy with the results seen. 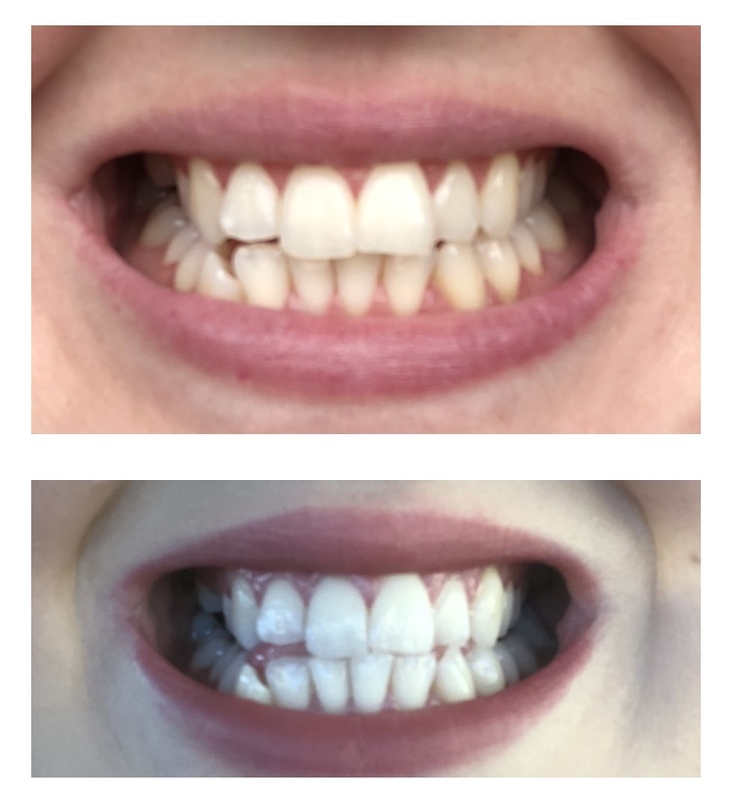 HiSmile is available at https://hismileteeth.com/ for $79.99, with teeth whitening pens available for maintenance, as well as a whitening toothpaste and mouthwash. What do you use for whiter brighter teeth? WOW, what an amazing difference!!! Thank you very much for the tip! !